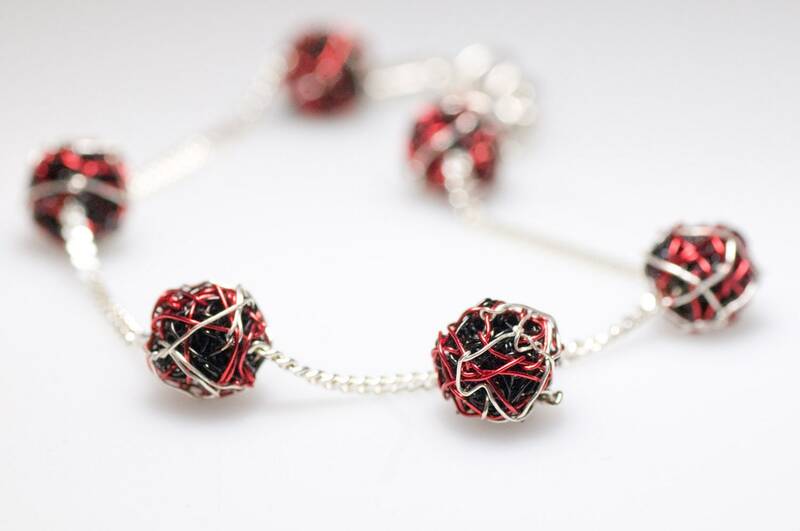 Ball bracelet handmade of silver and colored copper wire. 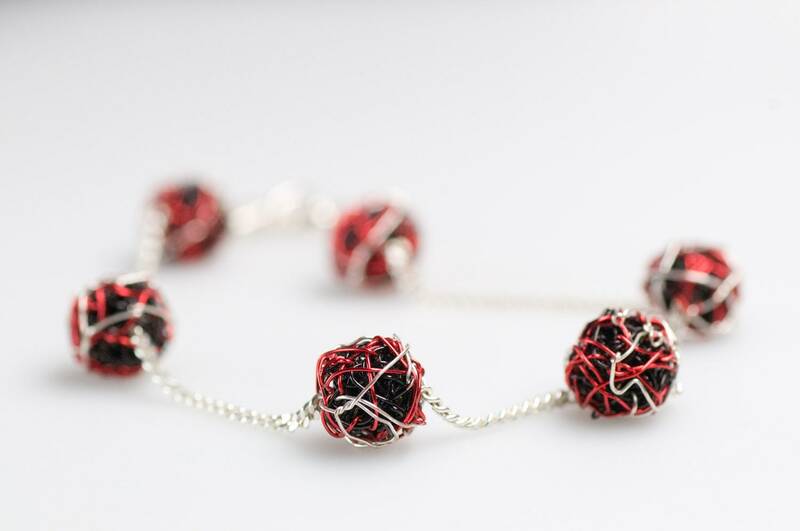 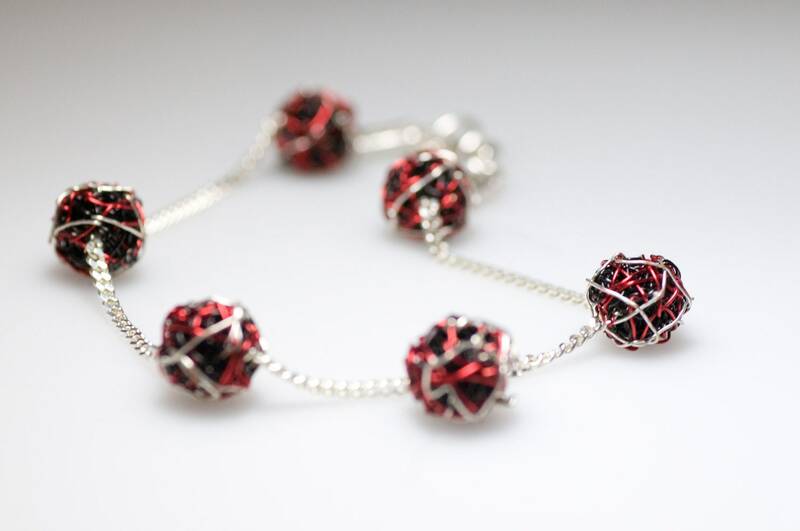 The length of the black red silver, delicate, wire, geometric bracelet, is 20cm (7.87in). 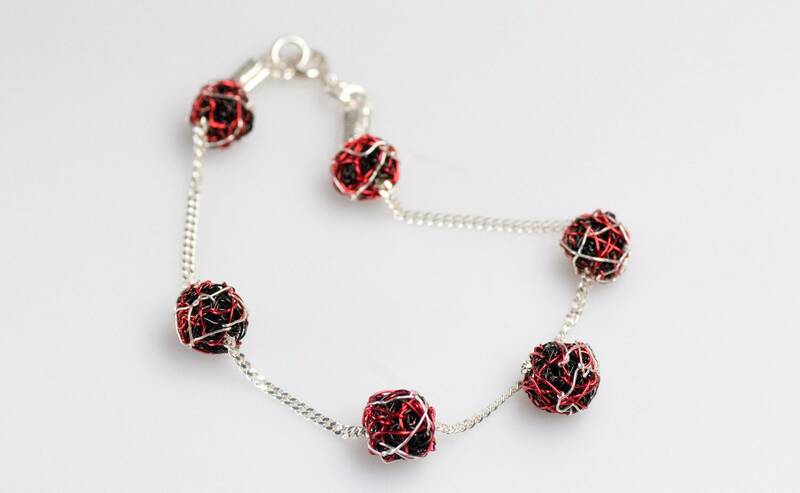 For more bracelet take a look at my shop section.